Fire is one of the most essential things in survival, bushcraft or just everyday life. And for the many different uses, there are just as many different ways to start a fire. Something that should be in every survival kit is a way of starting a fire, even in wet conditions. 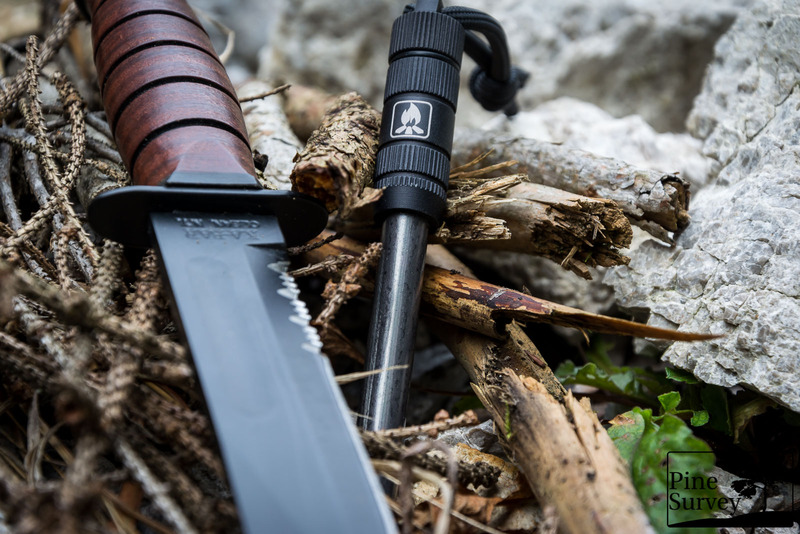 Fire steel is such an option and Helikon-Tex is offering its take on this survival classic in its Bushcraft line up now – calling it the Firespark. The firesteel is a bit larger than the well known army firesteel by Light my Fire. 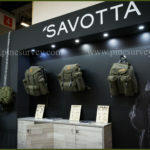 The build-up is slicker though, since the handle is not as thick and completely different than the swedish model. Helikon-Tex’ Firespark is made of a ferrocerium rod that is roughly 7cm long and 9mm thick. The handle is made of a finely machined material that seems to be aluminum. It offers plenty of grooves that give it a secure grip. The handle itself is hollow and opens by a twist cap. It closes easily and firmly, while a rubber ring provides a watertight seal that allows the user to carry everything in it that needs to stay dry and fits in it – obviously: tinder comes to mind immediately, but Helikon-Tex also suggests banknotes and the like – in the end, it is up to the user. The cap is equipped with a lanyard hole and can be secured securely therefore. 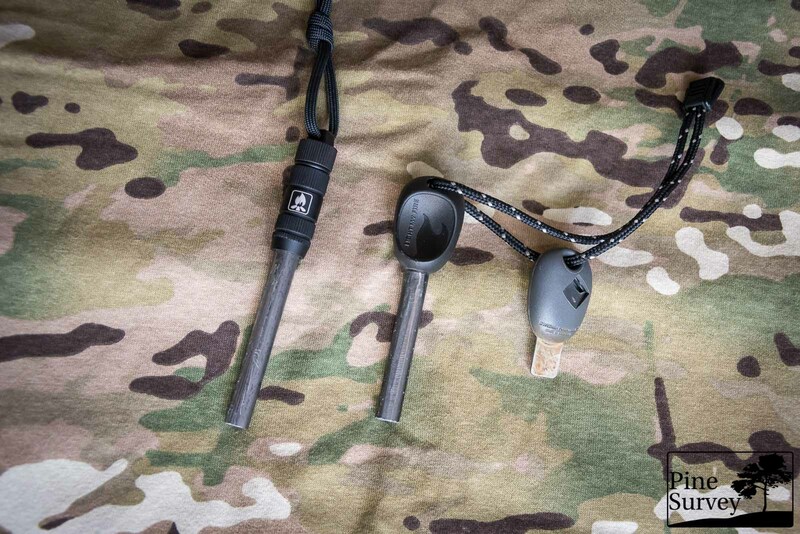 The Firespark comes with a short piece of Paracord attached to the handle. The rod is covered with a coating like most firesteels. As soon as this is off, the Firespark produces plenty of hot sparks, like a good firesteel should. 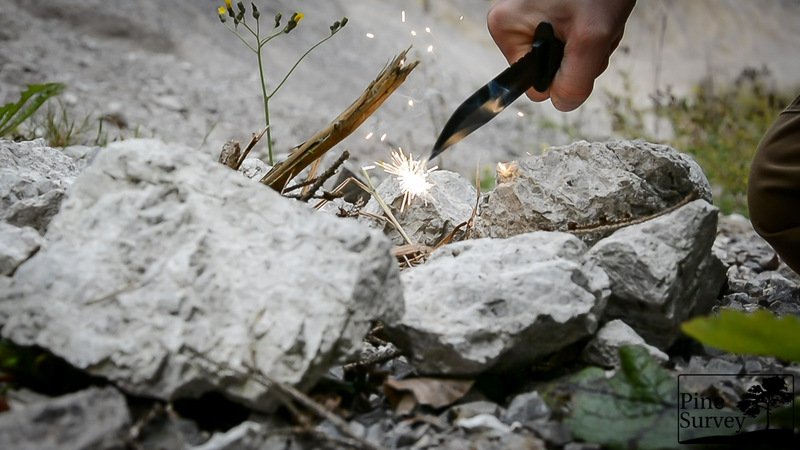 Contrary to other firesteels, the Firespark does not come with a scraper, like the Light My Fire model. For those people who do not want to use their knives for creating sparks this might be an issue, others won’t probably care about this. In the end it would be a useful addition nevertheless, in case one does lose his/her knife in a worst case scenario. 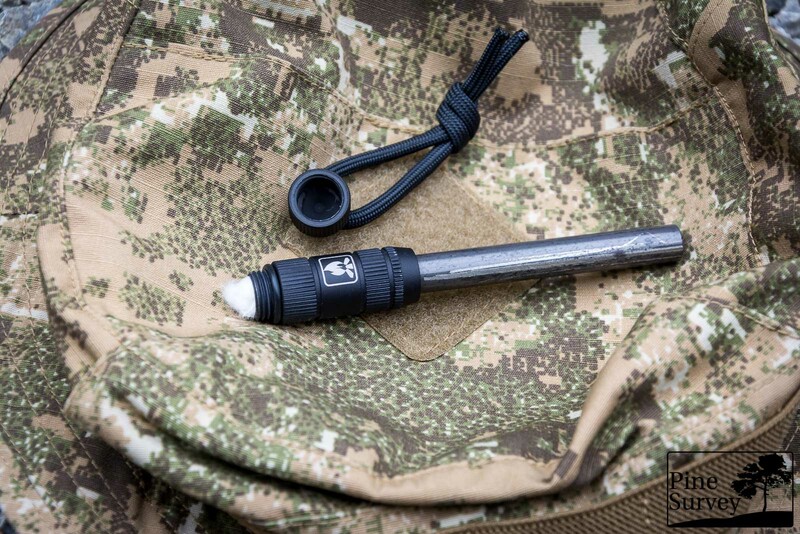 Being of a slicker design than others, the Firespark is easily packed away and ready to deploy in an instant. 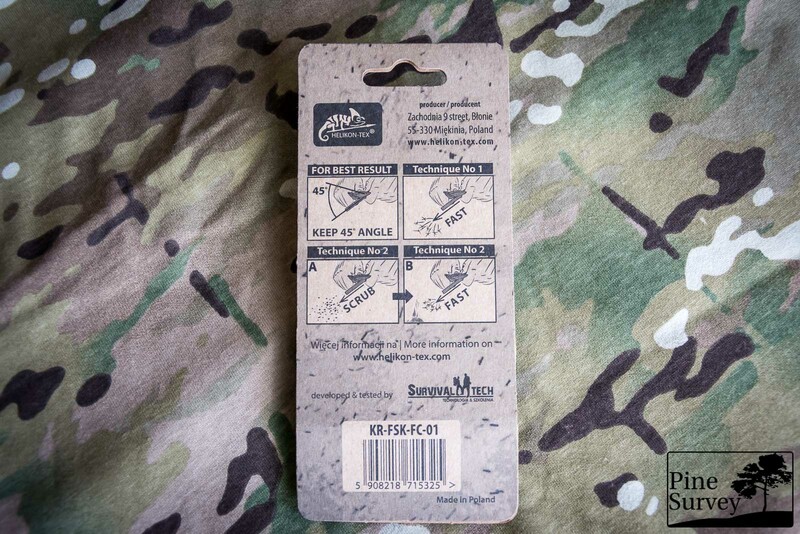 Helikon Tex’ Firespark is a well machined Firesteel that comes with a competitive price, considering it offers a useful handle that enables the user to carry dry tinder with him/her at all times. The quality is very high and considering the longevity of these firesteels, it is a good investment. 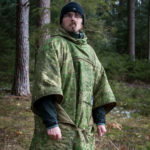 The Firespark might be a small item and does not necessarily reinvent the wheel, but it shows how Helikon-Tex is able to take proven concepts to another level.